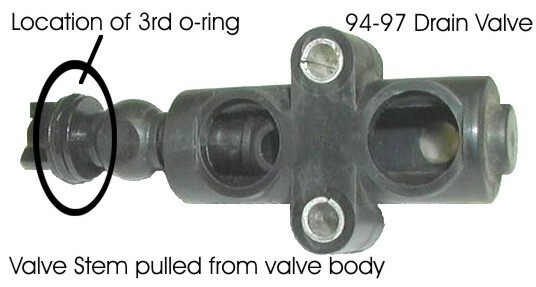 The drain valves on the 1994.5-1997 models require the same o-rings as the 1999-2003 models. Fuel Drain Valve O-rings - Viton type A - Set of 3 for the Water in Fuel Spearator Valve. For the drain valves on both the 1994.5-1997 trucks and vans along with the 1999-2003 trucks and vans. Instruction Sheet: Download PDF file Here. You must have Adobe Acrobat reader installed on your computer to download this document.